Some say that I dont think of anything else then Bushcraft. I think they are right, while emptying my bowls the other day I hade a look at the toilet paper and realised it has the properites you want if you want to make cordage. I have used many materials to make cordage both natural and man made. Still it´s a skill I want to be better at and to be able to make it quicker. So to not wate any time I practised on the toilet paper and it is very good to make cordage out of. 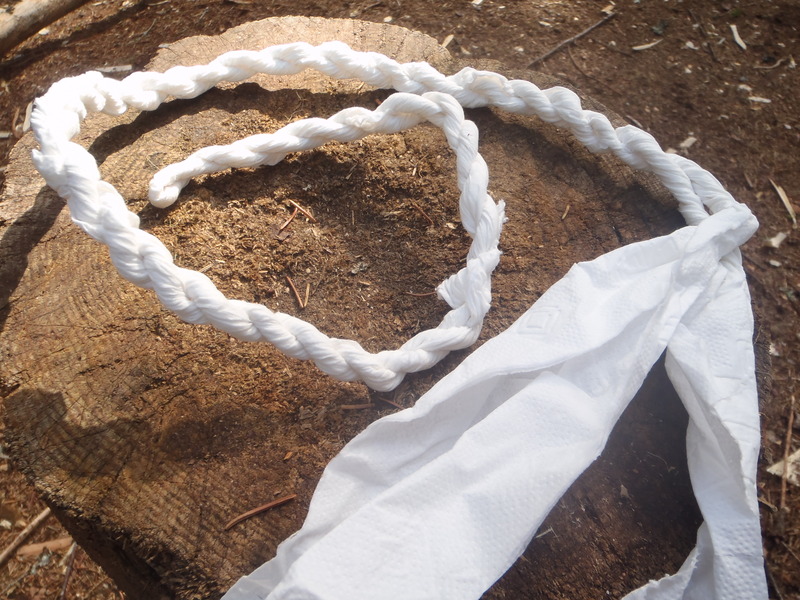 Toilet paper is a common thing but still it has many uses that we can use in Bushcraft, from cordage to tinder and even doing toilet visits. I f you want a tip on how to keep it dry look at my older post. Detta inlägg postades i Bushcraft tips, English och märktes Cordage den augusti 4, 2012 av Johan, Nordic Bushcraft.